As with most independent schools, tuition alone does not cover the cost to educate a student. Our Annual Fund helps to close the remaining 25 percent gap, providing critical financial support for academic enrichment, program development and improvements to the school. You’ll be pleased to know that 100 percent of your gift directly supports SJPII and its mission dedicated to academic excellence in a faith based environment. 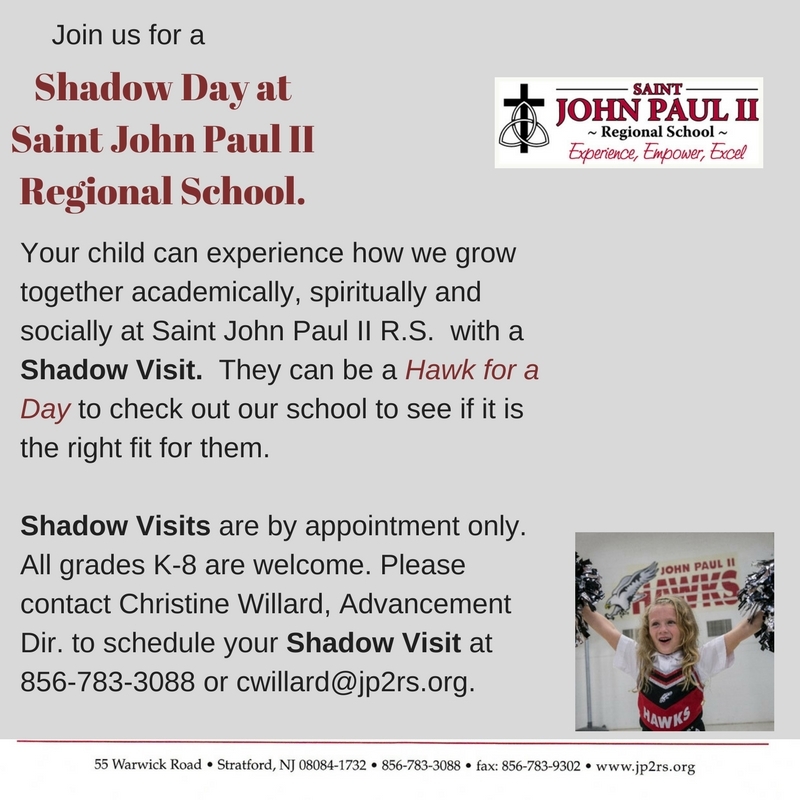 The St. John Paul II School Annual Fund supports an experience for our students developing the mind, body, and spirit. Investing in new technology, classroom resources, programs, textbooks and workbooks sharpens students’ skills and leads to greater success in high school and college . Purchasing equipment for our expanding athletic program gives students greater opportunity to engage with fellow classmates. Providing an annual school-wide “Day of Service” in honor of Saint John Paul II for students, providing retreats and opportunities to share their gifts throughout the year will join us all in a commitment to a better society. The St. John Paul II School Annual Fund empowers students to achieve their academic potential by recognizing student individuality, providing personal attention, and supporting teacher collaboration for continued success at every grade level. Our faculty commits to 20 hours of professional development each year to increase their skill set in areas like: empathy in the classroom, performance assessment writing, math/science curriculum development as well as teacher team meetings on a regular basis. We work to help all students reach their academic potential! Maintaining a quality arts program allows students to think “outside the box” and express their individuality which in turn builds confidence. The St. John Paul II School Annual Fund helps students excel. Fostering a faith based environment where each faculty and staff member focuses on student well being results in happy and confident children. Our Teacher to Teacher program ensures students enter the next grade level with the resources and tools necessary to reach success in the classroom and in life. Daily faith formation, weekly mass and service learning projects teaches students how they can contribute to a better society.